Life can at times be a challenging road to navigate and the journey may take us down unexpected paths. Occasionally we get "stuck" along the wayside. Are you ready and committed to see positive change? While others may focus on your past problems, there is a way that you can tap into your God-given strengths and resources in the "Here-&-Now," which is the key to discovering viable solutions that will take you from Seed-Time to Harvest! If that sounds like a promising investment in your life, then you may choose to consider Master Certified Life Coach - Traycie L. Tonge for your next speaking engagement. Miss Traycie L. Tonge is an entrepreneur, Master Certified Life Coach and Founder of SpeakLife2Me LLC., a Holistic Life Coaching company in which she provides: "Positively Inspired Solutions for Growth." 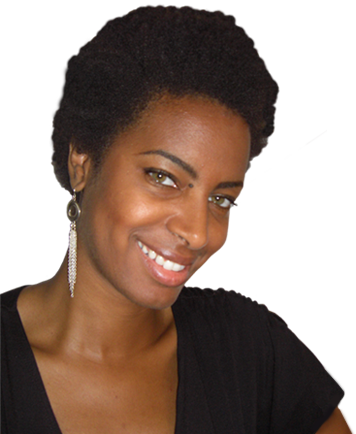 A native Long Island, New Yorker, she combines 12+ years of experience in counseling, entrepreneurship, and creative writing, she artistically "speaks life" into situations that need a breath of fresh air. By encompassing the mind, body, soul, and spirit, this special quality has enabled her to bring out a positive outlook, enthusiasm, and empowerment within her clients. As an author, she has written a 30-Day Devotional and workbook that has transformed the lives of her devoted readers. Miss Tonge graduated with her B.A. in Psychology from Hampton University, in Hampton, VA, a M.P.S. in Urban Ministry from Alliance Theological Seminary in New York, NY and a M.A. in Clinical Psychology from Regent University in Virginia Beach, VA. She also received two Life Coaching Certifications through PCCCA in Cape Coral, Florida. Miss Tonge is also an ordained minister and Chaplain and looks forward to assisting incarcerated populations with words of hope and inspiration to brighten their future. Ultimately, with a deep respect and empathy towards others, she understands the beneficial power of speaking life-changing words of encouragement into those who would have an ear to hear. Watching those seeds grow, mature, and transform into catalysts for change ignites the flame within and is truly one of her greatest passions. Her motto is: “Remember, when God directs your steps, all your plans will come into full alignment! Habakkuk 2:2 reads, "Then the LORD answered me and said: "Write the vision, And make it plain on tablets, That he may run who reads it." With this scripture dear to her heart, Coach Traycie L. Tonge has a passionate desire to fulfill the vision that has set her course in life fully ablaze. As she continues to move onward, the fire within her ignites the flame in becoming a trailblazer for the next generation. Miss Tonge is one of the most highly regarded Christian Female Women Motivational Speakers. She is a speaker who can cater to your event/engagement and create a customized speech that will empower your group. For your next Church/Faith-Based/Non-Profit Engagement, Youth-Ministry Event, Keynote Address, Rally, Retreat, Seminar, or Workshop, contact us for more details!